Imagine what it must feel like to be a dog or cat during the Festive Season. Your whole life, to a greater or lesser extent, revolves around routines and established habits – where you sleep, what you eat, what humans you associate with. Then comes the Festive Season and everything changes all at once. You are put into the car and taken somewhere strange – kennels or friends or the holiday home at the beach. Or hordes of family members descend on your house. From there, things get even worse – loud bangs and flashes of light, drunk people and (eeeek!) strange children! Research has shown that a very real fear can build up at this time. This can lead to the classic ‘fight/flight’ response. 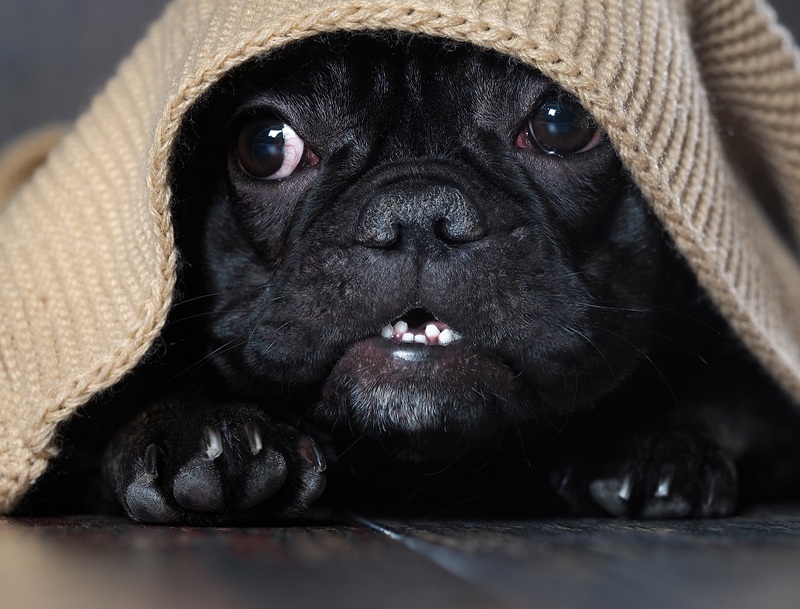 This means that your pet may become more aggressive – dog bites are far more common in the holiday season. Or he or she might run away – also a huge problem during December/January. The good news is that you can help your pet during this time. University of Washington psychologist James Ha, a specialist in animal behaviour, says there are three main ways to handle noise phobias: management, treatment and drugs. Management involves doing things like acclimatising the animal to the fearful thing in advance. For example, you can purchase CDs with loud noises on them and play to your dog beforehand. Or you could slowly introduce the dog or cat to children in a controlled environment. Make sure good behaviour is rewarded. Management also includes removing the animal from the perceived danger. For example, during firework displays, make your pet a bed in a safe, enclosed room with the doors and curtains closed to keep the sound out. Wrapping your animal in a thundershirt or pressure wrap might also help. There are several herbal and natural remedies on the market that help animals deal with stress and anxiety. These usually need to be given a few days in advance in order to have a good effect. So, about a week before the stressful event, start adding the supplement to the food. (This is our version: Serenity Formula). Lastly, if the problem is very severe, medication might be needed. Your vet will need to prescribe this as most of these drugs are scheduled. Speak to him in advance so that, when the time comes, you have the drug on hand ready to administer. Imagine what it must feel like to be a dog or cat during the Festive Season. Your whole life, to a greater or lesser extent, revolves around routines and established habits - where you sleep, what you eat, what humans you associate with.